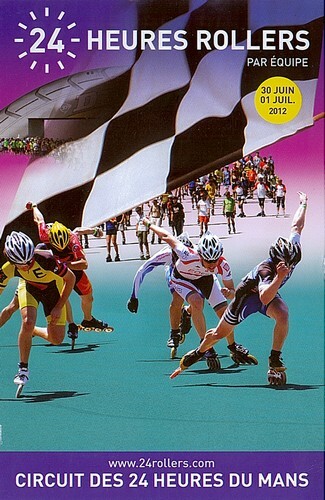 24 Hours Skating per team will take place on June, the 30th and July the first of 2012, on the Bugatti track (Circuit des 24 Heures du Mans), 4,185 km long. The aim of this competition is to cover the longest possible distance during 24 hours, with relays (except for SOLO category). The course is flat, except the Dunlop’s hill, 600m long (+ 3,5% change in altitude), followed by a long downhill (1 km / -2% change in altitude) made up with 2 large turns.